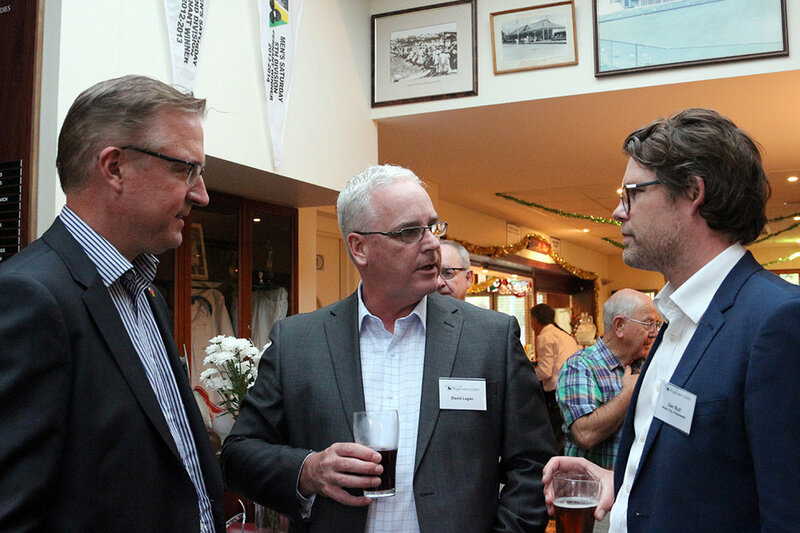 It was a huge turnout of members and their friends who attended our Summer Sundowner at the Mount Lawley Bowling Club on Wednesday 5 December. Over the years, our Sundowner has been a fabulous event to celebrate the past year, meet new members and mingle with old friends. Over the past few years our guest speakers have been outstanding. Alec Coles (CEO of the WA Museum) enthused us with his knowledge and love of our museum and told us all about the exciting new WA Museum. Jenny Gregory (President of the History Council of WA) entertained and informed about how WA has celebrated its milestones over the years. This year, our talk in this 100th anniversary year of the Armistace was 1918 – The Year of Victory presented by special guest, Captain Wayne Gardiner (Assistant Manager Australian Army Museum of WA). His vast knowledge of ‘the greatest victory in the history of Great Britain and her Empire’ was shared with our large group. It was a very moving and enlightening presentation filled with lots of heart-warming photos and not-seen-before graphics depicting the devastation that tore through western Europe during those Great War years. We sincerely thank Captain Gardiner for sharing this story. Our AGM followed the Sundowner and as well as the formalities, we farewelled committee member, Terry Tyzack who has been instrumental in many submissions as well as helping members with their various issues. 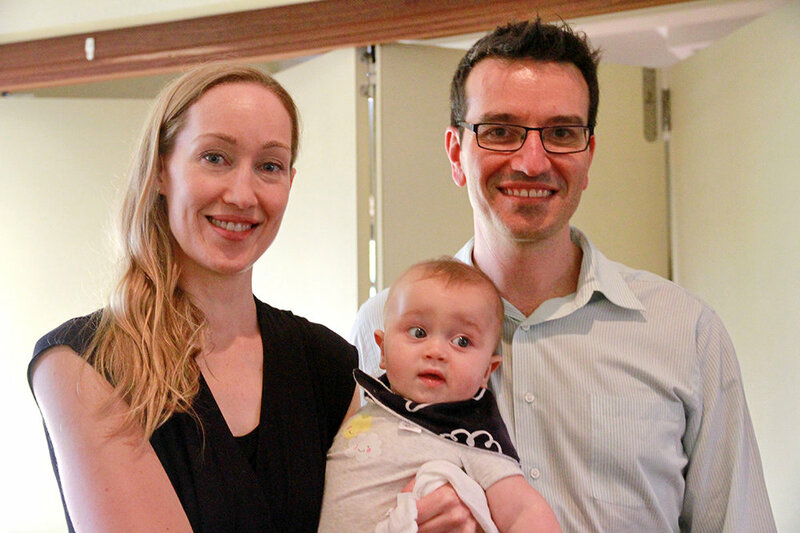 Welcome to our three new committee members: Adrienne Horrigan, Lisa Stanley and former President, Tim Hammond. We look forward to 2019 being an exciting year. Perth’s future film industry is secure if the quality of films in the Society’s recent Mt Lawley Short Film Festival is anything to go by. Some of Perth’s emerging film makers showed their outstanding skills and talents recently at the Film Festival held at the Astor Lounge in Mt Lawley. This is the second festival to be run by the Mount Lawley Society. 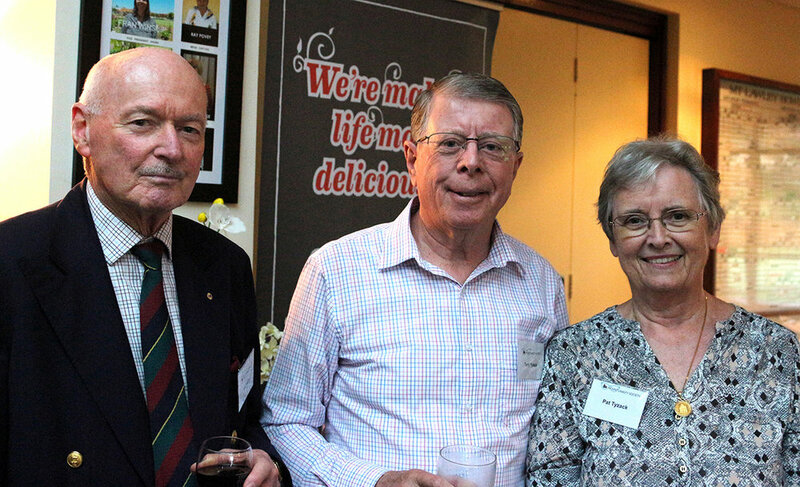 With the Astor Lounge near capacity, the audience was entertained by historical footage of Perth in the 1950s, the Commonwealth Games in 1962 and some amazing historical film of Perth as well as seeing the outstanding finalists’ entries. Two deserving winners were announced. The winner of the Open Category and $1,000 was Roger Elmitt who produced McPherson Street, a short history of a street in Menora. In accepting the prize, Roger said “this film, based on my book of the same name, was very much put together with enjoyment and collaboration – both near and far. My brother in England, Ray, was the film maker, I wrote the screenplay, my daughter’s partner, Scott, was in charge of sound and the wonderful Molly Worsnop – who has devoted her whole life to Perth theatre – was the perfect narrator”. Student category winner of the $750 prize was awarded to ECU student, Corina Stagg, who went with one of the themes for this year, ‘Mt Lawley,’ with her film, Heart in Hardware. 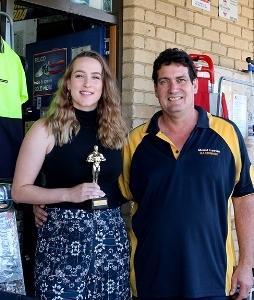 Her film highlighted the history of the Mt Lawley Hardware Store in Beaufort Street. Finalists included Cassandra Lionetto-Civa with her heart-warming film Sunday Lunch and Ellien Wardyn with a different but interesting take on one of the themes, ‘Remember When …’, with her film D13. Both finalists received $200 Camera House gift vouchers. The Society would not have been able to run the festival without the support of our sponsors who provided the funds for the prizes this year. We sincerely thank our wonderful local businesses: Irving & Keenan Real Estate, Matusik Jewellers and the Inglewood Hotel. Member for Mt Lawley, Mr Simon Millman MLA, donated the Camera House prizes for the two finalists and for that we are extremely thankful. We can’t wait to see what fabulous films we are presented with at our third film festival. 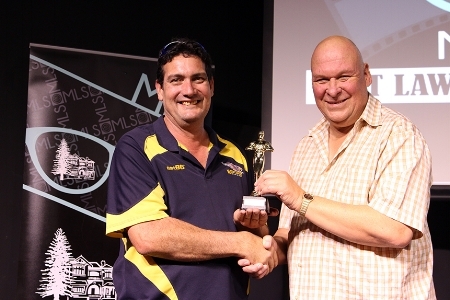 It looks like the Mt Lawley Short Film Festival is here to stay. 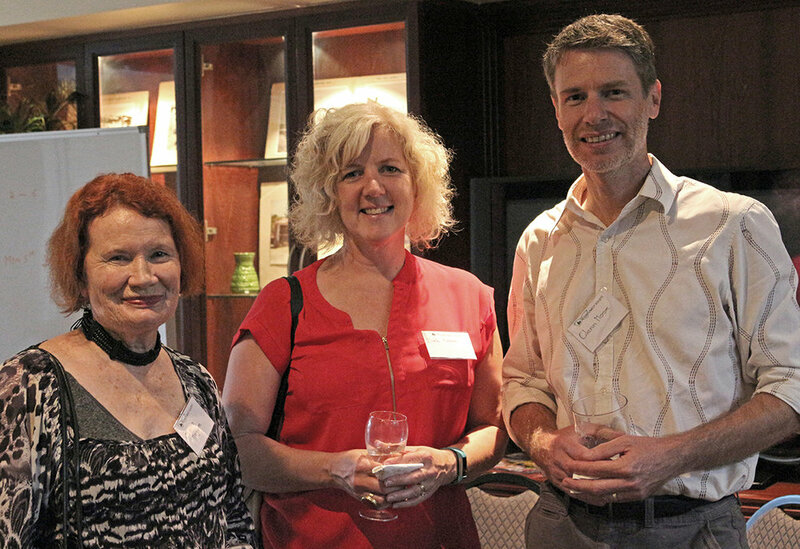 About 70 of our members came along to our Summer Sundowner at the wonderful Art Deco Mount Lawley Bowling Club on 4 December 2017. It was great to spend the first part of the evening with members, committee and visitors enjoying some fellowship. 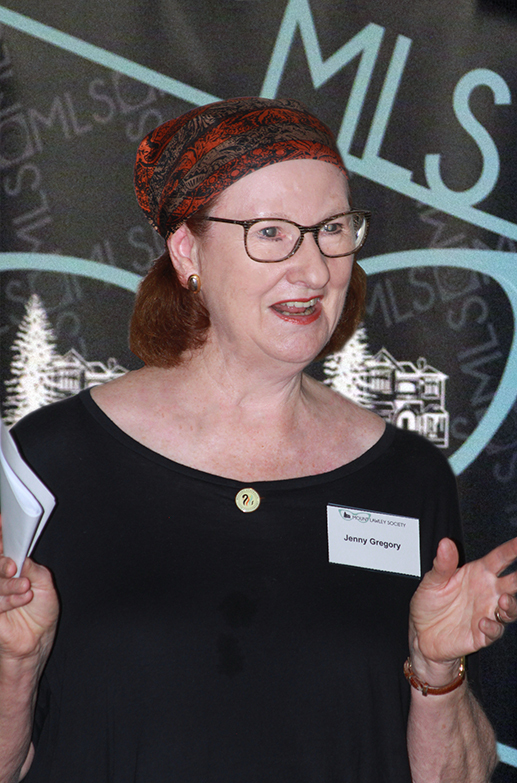 We then moved to the main hall to listen to Jenny Gregory, Emeritus Professor of History at UWA and President of the History Council of WA, talk about how WA has commemorated its milestone events, such as our jubilee, our centenary, our 150th and 175th? – and how indeed we might celebrate our 200th and all that this celebration means. There were some wonderful slides showing the celebrations of the past and the memorabilia created for these events. We sincerely thank Ms Gregory who held our attention with a very delightful and entertaining talk which showed us how the people of our State celebrated those very early milestones, brought back many memories of our most recent celebrations and gave us much to think about for our next big anniversary. We also greatly appreciate the attendance of Member for Mt Lawley, Simon Millman, as well as seeing some of our friends from local Councils: Mayor Dan Bull, Deputy Mayor Chris Cornish and Cr Catherine Ehrhardt from the City of Bayswater; Deputy Mayor David Lagan, Cr Elizabeth Re and Senior Planning Officer, Linda Hanna from the City of Stirling. Our very good friends, former City of Stirling Councillors, Rod Willox (and Lyn Willox) and Terry Tyzack (and Pat Tyzack) also came along. These two gentlemen later received Life Memberships of our Society for their support of our group over many years. Our 40th Birthday Banquet was truly a night of celebrating and reminiscing with old and new friends. For those of us who are 'more recent' members, we felt honoured to hear the stories from over the past forty years of the Society's early challenges, wins, losses and fun times. With seven Presidents, three Secretaries and one fantastic Patron, there were lots of stories to listen to. The feeling of warmth and camaraderie in the room was something to remember. It was a privilege to have the magnificent Ashley Arbuckle and Richard Price of Arco Duo entertain us during the night. Well done to all who worked hard to make it a success. 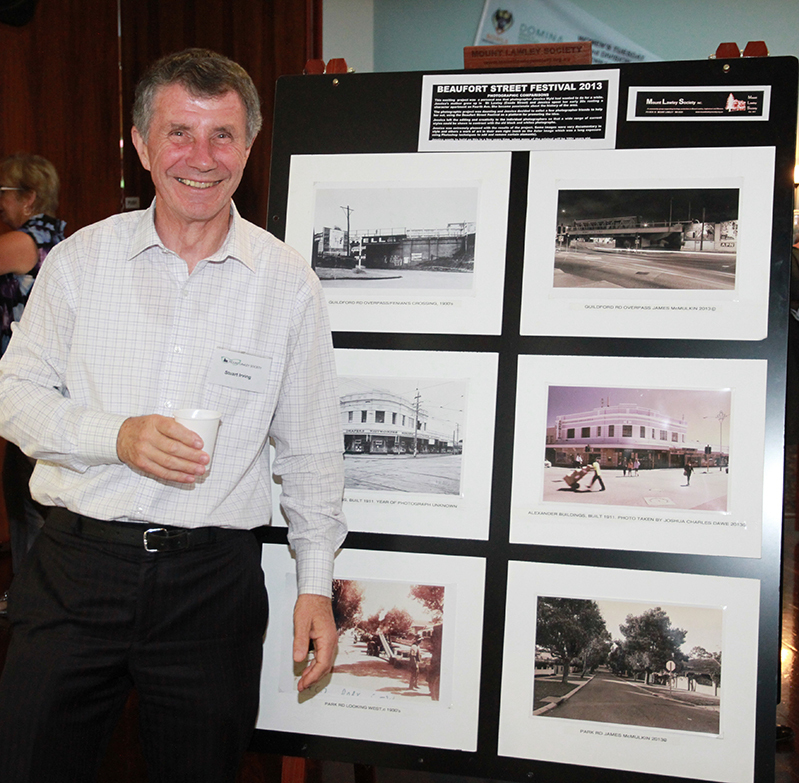 Happy 40th Birthday to the Mount Lawley Society. 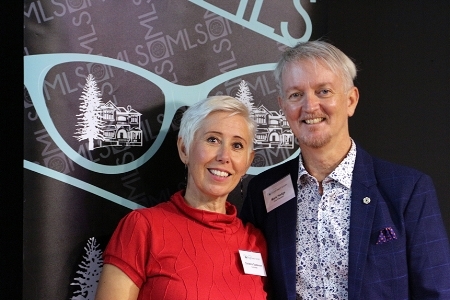 Our recent Quiz Night was a great evening on all fronts: lots of members and friends having fun; some great and memorable questions from our Quiz Master Extraordinaire, Mark Hodge, our Committee 'Whip' Christina Gustavson kept things running on time and there were lots of fabulous prizes and raffles. The evening was enhanced by the venue – the fabulous art deco Mount Lawley Bowling Club. 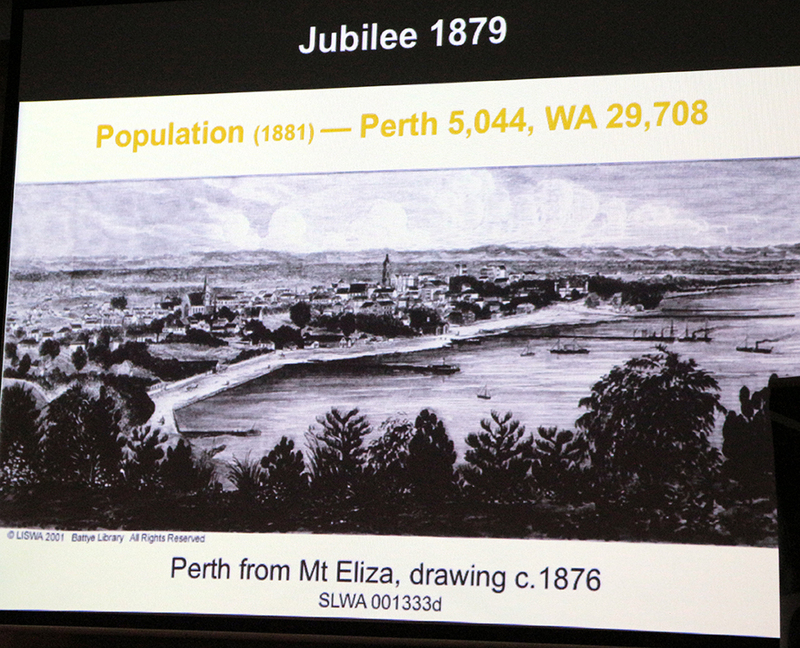 With huge thanks to all those who attended, we also raised some much-needed funds to update some of our archiving equipment and to keep highlighting and fighting the many issues relating to heritage in our suburbs. Thank you to the organising committee: Christina Gustavson, Mark Hodge, Phillipa Baines and John Wreford. We especially thank our donors: Inglewood Hotel, Kaos Hair Studio, Mia Flora Garden Centre, Caffarelli and Associates, Astor Theatre, Tim Hammond, Nervana Chiropractic and the City of Stirling. Watch out for details of our next fabulous event which celebrates our 40th Anniversary – our Birthday Banquet Saturday 29 July 2017. It was great to see old and new faces and prospective new members at our 'Living and Renovating in a Heritage Area in Changing Times' talk last night. Our three guest speakers enlightened more than 40 attendees with their in depth information about their particular field of knowledge. Anne Arnold, Chair of the Heritage Council of WA, talked about the role of the Heritage Council and what powers it does and does not have in their bid to look after WA's heritage for future generations. Bruce Roberts, General Manager Operations of Landgate, gave detailed information about the new and long-overdue strata reform for WA. And, Terry Tyzack, City of Stirling Councillor, Inglewood Ward, provided an overview of the local area's history of heritage protection. Many guests stayed well after the end for some good old-fashioned social chin wagging and refreshments around the very comfortable bar at the Mount Lawley Bowling Club. 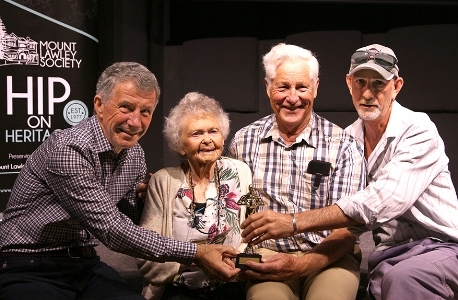 A big congratulations to the winners of the inaugural Hip on Heritage Short Film Festival! Winner of the Student Category: Finnian Williamson with his film "Empty Shelves"
Winner of the Open Category: Alfindy Agyputri & Cassandra Lionetto-Civa with their film "Sojourners:The Story of 124 James St"
The festival was a huge success with a great turnout and the organisers would like to thank the Astor Theatre, Alison James for judging the films, the event sponsors, Irving &Keenan and the City of Stirling. The festival wouldn't have happened without the many entrants, so thank you to the talented film makers in our suburbs as well as those who attended the viewing of these fantastic films. Thank you to everyone (old and new friends) who visited us in the 'very cool' Astor Theatre foyer at the Beaufort Street Festival this year. It was lovely to show people our heritage photos and to talk about their particular houses and their issues. The MLS Community Get Together on 29th July was a wonderful night. An old fashioned gathering, in the 'bring a plate' style, was the plan and it worked! The aim of a community get-together that didn't cost much was well and truly achieved. People excelled themselves with the 'bring a plate' and the tables looked great, resplendent with fabulous food, lovely flowers in crystal vases and lace tablecloths. Music, from various past eras, was perfect and a lovely background to the chatter and game-playing. Everyone immersed themselves in games of Heads and Tails, Heritage Prize Spinning Wheel with gusto and the prizes were received with the same enthusiasm in which they were given! Guests walked away with home-made jams and pickles and linen pieces, household items and sweets from a bygone era. The local Mount Lawley Bowling Club venue was warm, comfortable and inviting and we thank them sincerely for their help and their fabulous refreshment counter. Today we visited the Menora Gardens RSL to have a chat to residents, a lot of whom have lived in Mt Lawley, Inglewood or Menora, as well as display some of the Society's many historical and contemporary photos. Once again, there was a huge turnout at the Beaufort Street Festival, and with the Mount Lawley Society featuring at two venues, a lot of people visited our photographic displays at both St Alban's Church and the foyer of The Astor Theatre. This year we featured our new T shirts (in three different styles) with the MLS Hip on Heritage design. There are still some available so email us if you'd like one - mountlawleysociety@gmail.com. Visit our new Facebook page to see more photos. It has been a couple of years since The Mount Lawley Society and friends gathered in the Wine Cellar at La Vigna Liquor Merchants. Bus as usual tickets were snapped up fairly quickly and about forty people enjoyed some authentic Italian food, whilst being spoilt with some beautiful wines from La Vigna's cellars and entertained by La Vigna's own Michael Tamburri, who enlightened us with his vast knowledge of wines. It was a wonderful night of food and good wine, and, just to get our brains working, we very energetically took part in an historical quiz put together by the Society's Patron, Barrie Baker. It was also a great way to meet new 'locals' and catch up with old friends in a very social environment. Thank you to hosts, Michael, Grace and Ann Marie Tamburri for looking after us so wonderfully. The Society Sundowner (including an extremely short AGM) is growing in popularity. It was a sellout last year - heaps of fun and a great way to catch up with friends in the Society and meet some new neighbours in your area. Held at the Mount Lawley Bowling Club cnr Storthes and Rookwood Streets, Mount Lawley. Download an invitation here.